Kevin Harvick, driver of the No. 4 Jimmy John’s Ford Fusion for Stewart-Haas Racing (SHR), knows how to deliver a dominating performance in the Folds of Honor 500 Monster Energy NASCAR Cup Series event at Atlanta Motor Speedway. In 2017, Harvick displayed one of his most commanding performances of his Cup Series career when he led 292 of 325 laps at the 1.54-mile oval. Unfortunately, he came up just short of victory lane after a late-race speeding penalty on pit road led to a ninth-place finish. Harvick has had this event circled on his calendar since leaving the racetrack last spring. He plans to add a second NASCAR Cup Series victory to his Atlanta resume at the site of his first career win. That first Cup Series win at Atlanta came in only his third career start on March 11, 2001. The circumstances surrounding the month leading up to it make it all the more remarkable. Following Dale Earnhardt’s death on the final lap of the 2001 Daytona 500, Harvick was named the driver of the No. 29 car for Richard Childress Racing and made his series debut the following weekend – Monday, Feb. 26 – at Rockingham (N.C.) Speedway, where he finished 14th in the rain-delayed event. Two days later, Wednesday, Feb. 28, as the series headed west to Las Vegas Motor Speedway, Harvick married his wife DeLana. The following Sunday, March 4, Harvick scored his first career Cup Series top-10 finish. The following Sunday, less than one month since his debut in NASCAR’s top series, came Harvick’s landmark win at Atlanta. Harvick’s first Cup Series win didn’t come easily. He was in third place with five laps remaining and chased down NASCAR Hall of Fame driver Dale Jarrett for second place, then overtook Jerry Nadeau for the lead. Once in front, Harvick had to hold off another future Hall of Fame driver, Jeff Gordon, to secure the win. As he and Gordon raced door-to-door to the finish line, Harvick prevailed by .006 of a second. 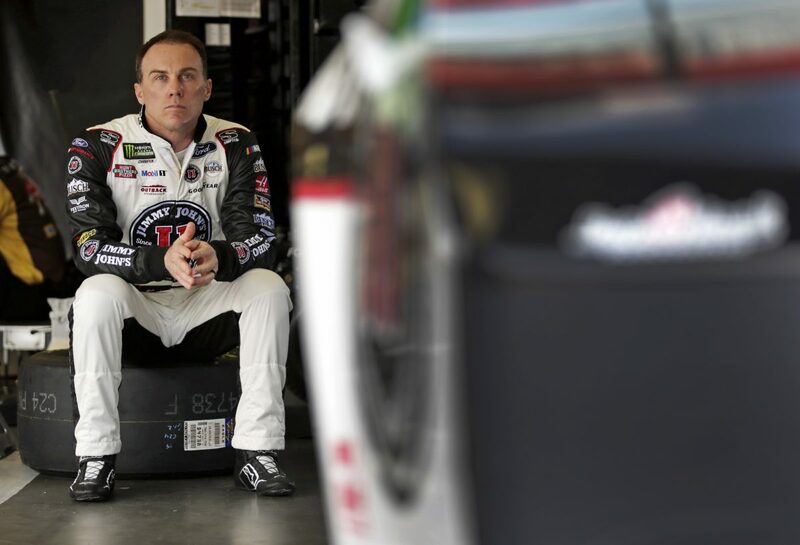 Since that maiden NASCAR Cup Series win, Harvick has reached victory lane at Atlanta on five other occasions, four times in the NASCAR Xfinity Series – including three of his last four Xfinity starts – and once in the NASCAR Camping World Truck Series. Harvick came close to adding a second Cup Series win at Atlanta in each of his last four starts. In September 2014, he won the pole and led 195 of 335 laps before late-race tire strategy by several drivers led to a multicar accident involving his No. 4 car. He started from the outside front row in 2015, led 116 laps and finished runner-up to race-winner Jimmie Johnson by 1.802 seconds. In his 2016 Atlanta start, he began sixth, led a race-high 131 laps and finished sixth after being shuffled back on a late-race restart. The 2017 performance was the most dominant, but the late-race penalty cost him his second trip to victory lane. To put his recent Atlanta performance in perspective, Harvick has led at least 100 laps in five of the last six Cup Series races at Atlanta. He has accumulated a series-best 835 laps led in those six races. The next closest driver during that span is Joey Logano with 165 laps led. This weekend, Harvick will attempt to add that elusive second Cup Series win at the 1.54-mile oval in Sunday’s Folds of Honor 500. He will also race Saturday, piloting Stewart-Haas Racing with Biagi DenBeste’s new No. 98 Hunt Brothers Pizza Ford Mustang in search of his fourth Xfinity Series win at Atlanta in six years. You’ve led 100 or more laps in five of your last six races at Atlanta. Talk about that. You dominated last year and came up short in the end. What makes Atlanta such a fun place to race? What do you like about the Atlanta Motor Speedway layout? At some point in time, if they have to repave, do you keep the same configuration or change it up a bit? What’s it like to be back at the site of your first NASCAR Cup Series win?